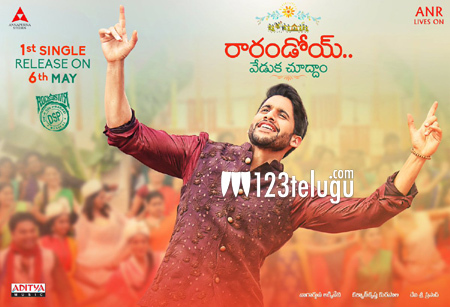 Young hero, Naga Chaitanya is in full swing as he has some very interesting films lined up. Next in line is the family drama Rarandoi Veduka Chooddam. For the very first time, Chay will be seen in an out and out family drama. Speaking about the same, Chay in an recent interview said that he was not sure whether to do a film like Rarandoi as he was not able to relate to many aspects in the script. The young actor states that it was his dad Nagarjuna who forced him to do the film as it would get him close to the family audience. Once the shoot was on, Chay says he felt how true both Nag and director Kalyan Krishna were with their suggestions. The trailer and songs have caught on quite well with the audience and the film is up for a release on the 26th of May.